Barcelona is an innovative city, a city that is looking towards the future, and wants to learn from the administrative and budgetary mistakes of the past. But in the current climate of budget cuts and falling tax receipts, how can a city continue to provide essential services to its population, and at the same time, try to improve them in such a climate? It is a question that the leaders of many world cities are asking themselves, especially when taking into consideration the fact that over 66% of the world’s population will be urbanites by the 2050. Changing demographics – fewer children and ageing populations – coupled with the aforementioned rapidly urbanising populations, present huge challenges for the leaders of cities, and indeed countries, but also opportunities for a revolution in the services provided, and also in the way in which they are provided. In the digital age, there is less and less need for physical infrastructure as regards many services local and national governments provide – such as pension payments, unemployment payments, organising tax and healthcare and so on – meaning the expensive upkeep of buildings can be reduced. However, this in itself presents other challenges – such as understanding of the digital world for older generations, and the cost of access and hardware for cash strapped parents and young people. Alternatively, it also allows for free thinkers to stretch their minds as to how these issues of access can be crossed. Bridging the digital divide if you will. And leading the charge to cross this bridge is Barcelona, a recently anointed City of Innovation, a world leader in the Smart Cities movement and the host of many of the tech world’s busiest events, such as the Mobile World Conference. Barcelona is also uniquely privileged in its provision of world class educative establishments, and the unique position it holds on the Mediterranean Sea, situated as it is as the pivot point for access to North Africa, Southern and Central Europe and as a bridging point for long haul flights to the rest of the world. To take full advantage of these aspects, local government has pushed the city hard towards becoming a hub for technological advancement, of new schemes designed to make the city more liveable for its citizens, and as an area that can push the impact of technology away from the laboratory and into real life situations. The creation of the 22@ district, in the neighbourhood known as Poble Nou, a former industrial area that missed out on much of the regeneration efforts during the boom years before and after the Barcelona Olympics of 1992, has fast become a centre for innovation and entrepreneurship. As part of the new-found focus on technology and innovation, the city council initiated a new ‘challenge’ for developers that breaks with the mould of government provision for services. Instead of specifying exactly what they wanted, the council presented six challenges that needed to be solved, ranging from preventing bicycle theft, empowering support systems that reduce social isolation, monitoring pedestrian flows in the city, tools for the digitisation of museum and archive collections, automatic detection and alerts of damaged road surfaces, and empowering local retailers through technology. Although these may not seem to be the most pressing aspects a city could solve’ they are aspects of modern city life that, if improved, will not only generate savings, but also increase citizens’ welfare in the city and ideally reduce spending. To feed this innovation in the city, the council are working closely with multiple private businesses, such as the internationally renowned FIRA, to bring companies that fit the ideal of a digitally forward thinking Barcelona. 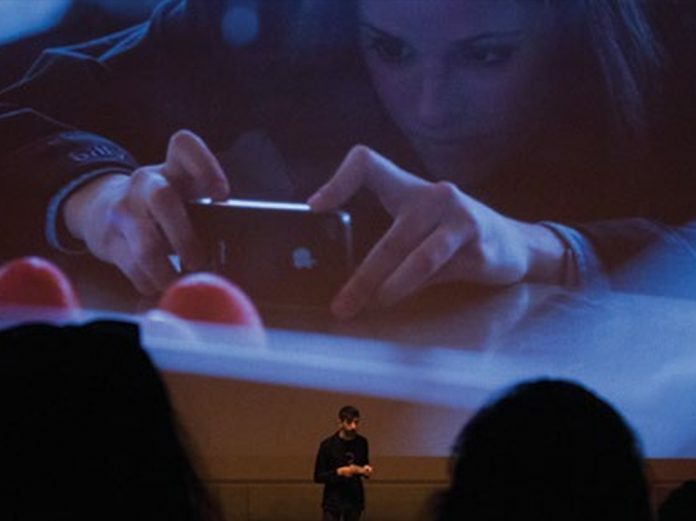 The Mobile World Conference, now in its fourth year in the city, is a prime example of putting Barcelona on the digital map. Each year the event grows and brings further revenue into the city in the form of MICE tourism (Meetings, Incentives, Conferences, Exhibitions), but also places Barcelona on the international stage for such forward thinking events, where the world can see the effort the council and private business is putting into making Barcelona, and Catalonia, the digital hub for the Mediterranean. Barcelona has secured serious investment from multiple international organisations as regards the Smart Cities movement, with Cisco being one of the latest companies to invest in the city by building an Internet of Everything (IoE) centre in Ca l’Alier, a 19th century heritage building at the core of the 22@Barcelona district, as part of the new Smart City Campus. The company will invest some €24 million over a five year period on the facility’s restoration, innovation lab, IT equipment, as well as for the acquisition of engineering, application development and research talent. Although the initial investment may not seem a sizeable amount, the very fact that Barcelona was selected alongside Rio de Janeiro in Brazil, Songdo in South Korea, Toronto in Canada, and Berlin in Germany, shows the great strides made by the city in becoming an attractive centre for such developmental work. But the idea of innovation that is taking hold in Barcelona is not only about grand ideas and ground-breaking technological advances; it is also linked to improving each and every citizen’s life through big, or small means. Take for instance the “Dishes a la carte’” website, which provides restaurant owners the opportunity to properly translate some of the more unusual plates that come from Catalan cuisine. The site has a list of over 7,000 recipes that have been made available by the Secretariat of Linguistic Policy, together with the Centre for Terminology (Termcat) in five languages to avoid the issues that sometimes arise when names are translated automatically. This small, simplistic idea highlights what the city council and the administration want to do: improve all aspects of life in the city utilising technology. Big or small, Barcelona is firmly on the way to becoming one of the most connected cities in the world.